The island is peaceful, tranquil and unchanged as you left it. The fact is, when you wear any Bamboo Cay product, the island will become quite dynamic. Here at Bamboo Cay, we offer a wide selection of products to bring the island lifestyle into your daily life. In 1998, Bamboo Cay was born and has been the premier leader of men’s resort wear, specializing in embroideries. All Bamboo Cay fabrications are carefully selected and fashionable to satisfy your taste. With our original copyright designs, each Bamboo Cay product, from island soft shorts to the richest embroidered shirts, will get you noticed without drawing attention to yourself. Our classic collection are the “must have” Bamboo Cay shirts in your wardrobe. These luxurious camp shirts feature mostly front embroidered designs with an subtle yet elegant look. Enjoy the sophisticated look and feel of our classic collection every time you go out! Enjoy the sophisticated look and feel of our back embroideries which feature beautiful designs of different elements and motifs. 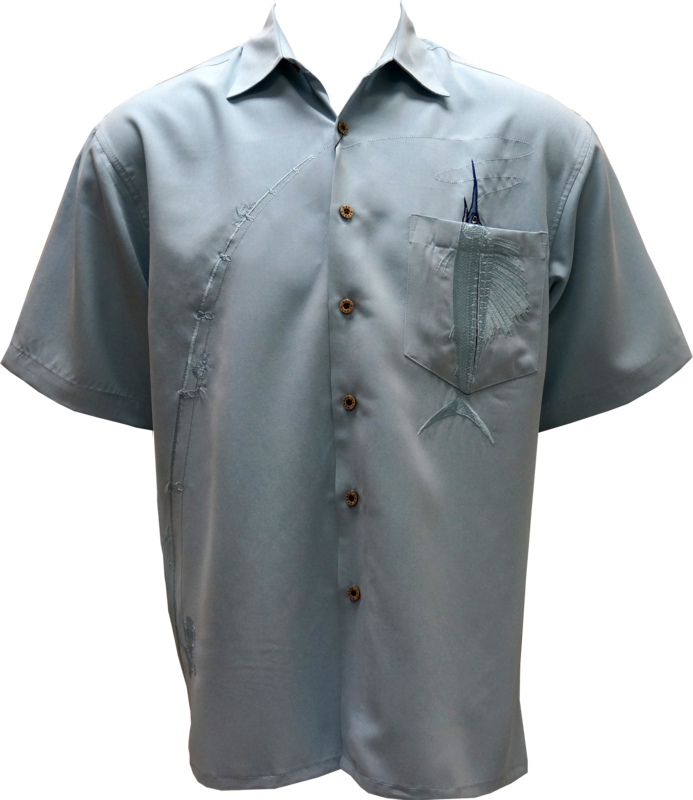 From wine and beer to relaxful novelties, you can find any Bamboo Cay camp shirt suitable for your need. 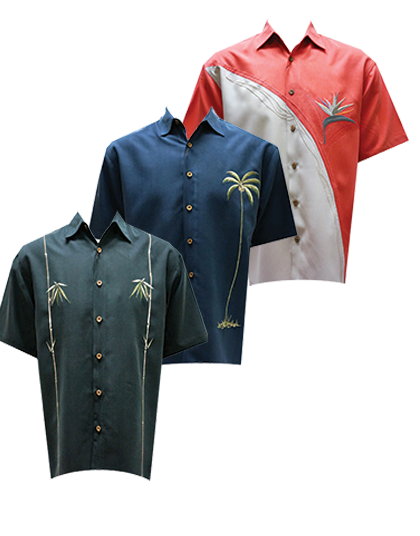 These washable modal embroidered shirts will get you noticed without drawing attention to yourself. Sign up to our newsletter for 10% off your first order. Be the first to receive exclusive offers & updates and new arrivals.